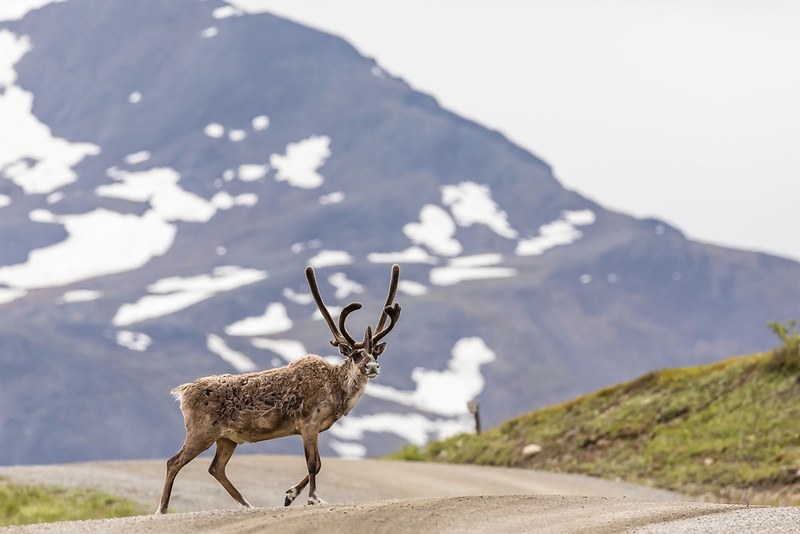 Caribou (Rangifer tarandus) crossing the park road at Highway Pass in Denali National Park in Interior Alaska. Summer. Afternoon.